This Software as a Service Subscription Agreement ("Agreement") governs all access to and use of the Online Valuation Services (as defined below) of Quist Insights, LLC (“Quist Insights”). Through a subscription-based “software as a service” (SaaS) model available on Quist Insights’ website located at www.quistinsights.com (the “Quist Insights Site,” which shall include any successor site designated by Quist Insights for the provision of the Online Valuation Services), Quist Insights provides online access to certain proprietary software and technology tools (the “Application,” which shall include all applicable documentation, and all interfaces, corrections, bug fixes, modifications, updates, upgrades, new versions or releases that Quist Insights subsequently may make available as part of the Online Valuation Services) for business valuation services (the “Online Valuation Services”). This Agreement constitutes a binding agreement between the individual or entity that accesses or uses the Online Valuation Services (the “Client”), and Quist Insights. PLEASE READ THIS AGREEMENT CAREFULLY BEFORE ACCESSING OR USING THE ONLINE VALUATION SERVICES OR ANY PORTION THEREOF. BY CLICKING ON "I AGREE" OR BY ACCESSING OR USING THE ONLINE VALUATION SERVICES OR ANY PORTION THEREOF, YOU, ON BEHALF OF THE CLIENT, ACKNOWLEDGE AND CONFIRM THAT: (A) YOU HAVE FULL AUTHORITY FROM THE CLIENT TO BIND THE CLIENT TO ALL OF THE TERMS AND CONDITIONS OF THIS AGREEMENT; (B) YOU HAVE READ AND UNDERSTAND ALL OF THE TERMS AND CONDITIONS OF THIS AGREEMENT; (C) CLIENT AGREES TO BE BOUND BY ALL OF THE TERMS AND CONDITIONS OF THIS AGREEMENT; AND (D) CLIENT ACKNOWLEDGES THAT THIS AGREEMENT IS THE LEGAL EQUIVALENT OF A SIGNED, WRITTEN CONTRACT BETWEEN QUIST INSIGHTS AND CLIENT. IF YOU OR THE CLIENT WHOM YOU ARE REPRESENTING ARE NOT WILLING TO BE BOUND BY ALL OF THE TERMS AND CONDITIONS OF THIS AGREEMENT, INCLUDING WITHOUT LIMITATION THE PRECEDING ACKNOWLEDGEMENT AND AGREEMENT, THEN YOU MUST NOT SELECT THE ‘I AGREE’ BUTTON ASSOCIATED WITH THIS AGREEMENT AND YOU MUST NOT ACCESS OR USE THE ONLINE VALUATION SERVICES OR ANY PORTION THEREOF; QUIST INSIGHTS DOES NOT AND WILL NOT GRANT YOU OR THE CLIENT ANY RIGHT OR LICENSE TO ACCESS OR USE THE ONLINE VALUATION SERVICES OR ANY PORTION THEREOF. 1.1 Subscription Term. This subscription entitles Client to access and use the Online Valuation Services, subject to the terms of this Agreement, for a period of twelve (12) months unless earlier terminated by Quist Insights as set forth herein (the “Subscription Term”). Client acknowledges and agrees that Quist Insights may terminate the Subscription Term immediately upon notice to Client in the event that Client breaches any term or condition of this Agreement. 1.2 License Grant. Subject to the terms and conditions of this Agreement, Quist Insights hereby grants to Client a limited, personal, non-exclusive, non-transferable, revocable right and license, without right to grant sublicenses, during the Subscription Term, for Client to access the Application electronically via the Internet and use the Online Valuation Services solely for Client’s internal business planning purposes. Quist Insights shall make the Online Valuation Services available to Client via a server maintained by or on behalf of Quist Insights. Quist Insights reserves the right to modify the Online Valuation Services at any time as business needs dictate in Quist Insights’ sole discretion, provided that the terms and conditions of this Agreement shall remain in effect throughout the Subscription Term and shall govern Client’s use and obligations with respect to any modified Online Valuation Services. 1.3 License Restrictions. Any use of the Online Valuation Services not expressly permitted in this Agreement is prohibited. Client acknowledges that the Online Valuation Services and its structure, organization, and source code constitute valuable trade secrets of Quist Insights and its suppliers. Client agrees that Client shall not, nor shall Client permit, assist or encourage any third party to: (a) reproduce, allow use of or access to the Online Valuation Services or sell, rent, lease, use for service bureau use, sublicense or otherwise transfer or distribute the Online Valuation Services, in whole or in part, to any third parties; (b) modify, translate, reverse engineer, decompile, or disassemble the Online Valuation Services or otherwise attempt to derive the source code for the Online Valuation Services; (c) merge the Online Valuation Services with other software; (d) copy, modify, adapt, alter, translate, enhance or otherwise modify or create derivative works of or from the Online Valuation Services; (e) alter, destroy or otherwise remove any proprietary notices or labels on or embedded within the Online Valuation Services; (f) use the Online Valuation Services to develop any application or program having the same primary function as the Application or Online Valuation Services or otherwise exercise any rights in or to the Online Valuation Services except as expressly permitted under Section 1.2 (License Grant) above; (g) use, upload, post or transmit via or in connection with the Online Valuation Services any unlawful, threatening, abusive, false, libelous, defamatory, obscene, pornographic, profane, or otherwise infringing or objectionable information or content of any kind, including, without limitation, any use or transmissions constituting or encouraging conduct that would constitute a criminal offense, give rise to civil liability, or otherwise violate any applicable law, including violations of any patent, trade secret, copyright, trademark or other intellectual property right worldwide (“IP Rights”), privacy rights or any other rights of a third party; (h) post or transmit into or via the Online Valuation Services any information, software, material or other content that is subject to an Open Source License or that contains a virus, cancelbot, Trojan horse, worm or other harmful components; or (i) interfere, disrupt or attempt to gain unauthorized access to any computer system, server, network or account for which Client does not have authorization to access or at a level exceeding Client’s authorization. 1.4 No Implied Licenses. The Online Valuation Services are made available through a limited term subscription, not sold. All rights not expressly granted in Section 1.2 (License Grant) above are reserved by Quist Insights, and nothing in this Agreement will be deemed to grant, by implication, estoppel or otherwise, a license under any of Quist Insights’ existing or future IP Rights. 1.5 Certain Acknowledgements. Client acknowledges and agrees that: (a) any outcome of using the Online Valuation Services in business valuation activities is limited to a point-in-time examination of business valuation and that the outcome of any Online Valuation Services assessments does not constitute any form of representation, warranty or guarantee the accuracy of such valuation; and (b) in assisting in the business valuation services, the Online Valuation Services will require input of accurate, authentic and complete information provided by Client. 2.1 Equipment. Quist Insights shall be responsible for making the Online Valuation Services accessible up to the point of Quist Insights’ Internet Service Provider; beyond that, Quist Insights shall not be responsible for performance or operational issues experienced by Client with respect to access to or use of the Online Valuation Services. Client shall be solely responsible for, and Quist Insights shall have no liability in connection with, providing, maintaining and ensuring compatibility of the Online Valuation Services with any hardware, third party software, electrical and other physical requirements to access and use the Online Valuation Services, including without limitation operating systems, telecommunications and digital transmission connections and links, routers, local area network servers, virus software, firewalls, or other equipment and services required to or desirable for access and use of the Online Valuation Services. 2.2 Authorized Users. The Online Valuation Services enables Client to authorize and grant access to those employees and authorized independent contractors of Client specified by Client (each an “Authorized User”). Notwithstanding anything herein to the contrary, any breach of any terms or conditions of this Agreement by any Authorized User shall be deemed to be a breach of this Agreement by Client. Client shall be responsible and liable for the acts or omissions of each Authorized User as if such acts or omissions were Client’s own acts or omissions. 2.3 Access IDs. During the Subscription Term, the Online Valuation Services shall permit Client to register, authorize and obtain unique and confidential login IDs and passwords (collectively, “Access IDs") to allow Client and its Authorized Users to access the Online Valuation Services. Client and the Authorized Users shall maintain the confidentiality of the Access IDs and shall not disclose the Access IDs to any third party. 2.4 Availability. Quist Insights shall use commercially reasonable efforts to make the Online Valuation Services available to Authorized Users pursuant to the terms and conditions of this Agreement during the Subscription Term. Client acknowledges that from time to time the Online Valuation Services may be inaccessible or inoperable for any reason, including without limitation: (a) periodic maintenance procedures, enhancements, repairs or corrections with respect to the Online Valuation Services or Server, as determined by Quist Insights; (b) equipment malfunctions; (c) acts or omissions of Client its Authorized Users or its suppliers, including but not limited to scheduled or unscheduled outages of the Authorized User’s internet browser, known and persistent slow response time on an Authorized User’s internal network, or problems with Authorized User’s computer hardware or electricity; or (d) causes beyond the reasonable control of Quist Insights or that are not reasonably foreseeable by Quist Insights, including interruption or failure of telecommunication or digital transmission links, delays or failures due to Client’s Internet Service Provider, hostile network attacks or network congestion. 3. Support and Other Services. 3.1 Technical Support. 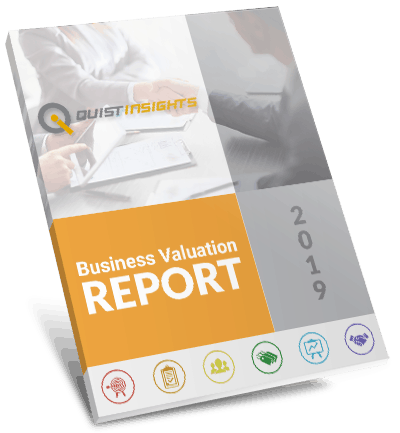 Quist Insights will use commercially reasonable efforts to support and maintain the Online Valuation Services throughout the Subscription Term. However, Client acknowledges that Quist Insights has no control over the stability and throughput speed of the Internet or availability of the Online Valuation Services on a continuous and uninterrupted basis. Furthermore, this Agreement does not entitle Client to receive a copy of Online Valuation Services (in object code or source code form), on-site services, training services or additional installation or implementation services. 3.2 Feedback. Client will use reasonable efforts to notify Quist Insights of any issues or concerns with respect to the Online Valuation Services in a timely manner. 3.3 Other Services. Quist Insights may provide Client with additional services upon terms mutually agreed upon between the parties in a duly executed and delivered writing and such services shall be billed at Quist Insights’ standard rates and prices in effect from time to time (“Additional Services”). Furthermore, Quist Insights may provide consulting or professional services upon terms mutually agreed upon between the parties in a duly executed and delivered writing, which shall be billed at Quist Insights’ standard rates and prices in effect from time to time (“Professional Services”). Any software or other programs or materials provided to Client as part of the Support Services, Additional Services Professional Services will be deemed part of the Online Valuation Services and shall be subject to the terms and conditions of this Agreement, unless otherwise mutually agreed upon by the parties in writing. 4.1 Annual Subscription Fee. As consideration for receiving the Online Valuation Services, Client shall pay the subscription fee set forth on the Quist Insights Site to Quist Insights annually in advance (each a “Subscription Fee”). 4.2 Taxes. All fees and other amounts payable by Client under this Agreement are exclusive of taxes and similar assessments. Client is responsible for all sales, use and excise taxes, and any other similar taxes, duties and charges of any kind imposed by any federal, state, or local governmental or regulatory authority on any amounts payable by Client hereunder, other than any taxes imposed on Quist Insights’ income. 4.3 Renewal. Approximately thirty (30) days prior to the expiration of Client’s Subscription Term, Quist Insights will notify Client of the impending expiration and Quist Insights’ terms and conditions for a renewal term, including without limitation a new Subscription Fee. Client may, at its discretion, either (a) choose to renew the Subscription Term upon the new terms and conditions, in which case Client will click “I Accept” or (b) allow the Subscription Term to expire at the end of the then-current Subscription Term. 4.4 Refunds. Client shall not be entitled to a refund of any Subscription Fee, except solely in connection with a Client-Initiated Termination for Breach. For purposes of this Agreement, a “Client-Initiated Termination for Breach” means a termination by Client of this Agreement where (a) Quist Insights has committed a material breach of its obligations under this Agreement, (b) Client has provided Quist Insights with written notice describing in reasonable detail such material breach and (c) Quist Insights has not cured such breach within forty-five (45) days of receiving such written notice from Client. The refund to which Client will be entitled in connection with a Client-Initiated Termination for Breach will be pro-rated (based upon the number of full months remaining in the Subscription Term). 5.1 Ownership. Each party acknowledges that: (a) all right, title and interest in and to the Online Valuation Services, including without limitation all IP Rights therein, are the sole and exclusive property of Quist Insights and its suppliers; (b) subject to the license rights expressly set forth herein, Client receives no right, title or interest in or to the Online Valuation Services; and (c) all title and IP Rights in and to any data or content that is not contained in the Online Valuation Services, but may be accessed through use of the Online Valuation Services, is the property of the respective content owners. If Client or any of its Authorized Users is deemed to have any ownership interest in the Online Valuation Services, including any derivative work, enhancement or other modification thereto, then Client shall assign and/or cause such Authorized User to assign, and Client does hereby assign, irrevocably and royalty-free, all of such ownership interest or other rights exclusively to Quist Insights and Client shall, at Quist Insights’ reasonable request and expense, complete, execute and deliver any and all documents necessary to effect or perfect such assignments. 5.2 Protection. Client shall use reasonable best efforts, which shall be no less stringent than those efforts that Client uses to protect Client’s own confidential information, trade secrets, technology, software or other similar proprietary property, to prevent any Online Valuation Services from being disclosed or used by any Authorized User or other person in any manner that would violate this Agreement. In no event shall Client take any action that might encumber or expose the Online Valuation Services or the license rights granted in this Agreement to any claims, liens or other forms of encumbrance. 6. Security. NOTWITHSTANDING ANYTHING HEREIN TO THE CONTRARY, CLIENT SHALL BE SOLELY RESPONSIBLE FOR: (I) INPUTTING, LOADING OR OTHERWISE USING CLIENT’S INFORMATION AND DATA (COLLECTIVELY, “CLIENT DATA”) IN CONNECTION WITH THE ONLINE VALUATION SERVICES; (II) MAINTAINING INDEPENDENT ARCHIVAL AND BACKUP COPIES OF ALL CLIENT DATA; AND (III) ENSURING THE CONFIDENTIALITY OF CLIENT’S PASSWORDS, ACCESS IDS AND/OR MEMBER ACCOUNTS, WHICH SHALL BE ISSUED FOR THE LIMITED PURPOSE OF USING THE ONLINE VALUATION SERVICES PURSUANT TO THE TERMS HEREIN. QUIST INSIGHTS SHALL HAVE NO LIABILITY TO CLIENT OR ANY OTHER PERSON FOR LOSS, DAMAGE OR DESTRUCTION OF CLIENT DATA. Client is solely responsible for any authorized or unauthorized access to and use of the Online Valuation Services via Client’s or its Authorized Users’ passwords and/or member accounts. If any of Client’s or its Authorized Users’ passwords are lost, stolen or otherwise compromised, Client shall promptly change the password or, if Client is unable to do so, Client shall notify Quist Insights, whereupon Quist Insights shall suspend use of such password and/or account and issue a replacement password. Notwithstanding anything herein to the contrary, Client hereby authorizes Quist Insights to treat any person using Client’s or any of its Authorized Users’ passwords, Access IDs and/or member account as Client (even if such person is using such item(s) without Client’s authorization), and any resulting transactions, fees, obligations or liabilities shall be attributed to Client, until such time as Quist Insights is notified by Client in writing of any unauthorized access arising under such conditions. 7.1 Client Warranty. Client represents, warrants and covenants to Quist Insights that: (a) Client has the legal power and authority to enter into and perform Client’s obligations under this Agreement; (b) Client shall comply with all terms and conditions of this Agreement, including without limitation the license restrictions set forth in Section 1.3 (License Restrictions) above; (c) Client is the owner and/or the licensee of all IP Rights relating to the Client Data and has all necessary rights to input, load and/or use such Client Data with the Online Valuation Services under the terms of this Agreement; (d) the Client Data, and Client’s use thereof in connection with the Online Valuation Services or as otherwise contemplated by this Agreement, does not, and shall not, infringe any third party’s IP Rights, privacy rights, data security rights or other rights, and shall not otherwise violate any applicable law or regulation; and (e) Client shall not use the Online Valuation Services in violation of any applicable law or regulation and shall otherwise refrain from any act or omission that will cause Quist Insights to be in violation of any applicable law or regulation regarding the use of the Online Valuation Services. 7.2 Quist Insights Warranty and Disclaimer. Quist Insights warrants that (i) Quist Insights has full corporate authority sufficient to grant Client the licenses set forth in this Agreement; and (ii) during the term of this Agreement, to the knowledge of Quist Insights at the time Quist Insights is making the Online Valuation Services available to Client, the Online Valuation Services shall be free from viruses, worms, trojan horses, built-in or other use-driven destructive mechanisms, or other injurious or damaging formulas, instructions or other materials (hereinafter referred to singularly or collectively as “Viruses”). QUIST INSIGHTS MAKES NO OTHER WARRANTY, EXPRESS OR IMPLIED, WITH RESPECT TO THIS AGREEMENT OR THE ONLINE VALUATION SERVICES, INCLUDING WITHOUT LIMITATION ANY IMPLIED WARRANTY OF MERCHANTABILITY, FITNESS FOR A PARTICULAR PURPOSE, TITLE OR NONINFRINGEMENT AND/OR ANY WARRANTIES ARISING OUT OF A COURSE OF DEALING OR COURSE OF PERFORMANCE. WITHOUT LIMITING THE FOREGOING, QUIST INSIGHTS DOES NOT WARRANT THAT THE ONLINE VALUATION SERVICES WILL MEET CLIENT’S REQUIREMENTS OR EXPECTATIONS OR THAT THE ONLINE VALUATION SERVICES, ANY COMMUNICATIONS SENT OR RECEIVED IN CONNECTION THEREWITH OR CLIENT’S USE OF THE SAME WILL BE UNINTERRUPTED, ERROR-FREE, VIRUS-FREE OR COMPLETELY SECURE, NOR DOES QUIST INSIGHTS MAKE ANY WARRANTY AS TO ANY RESULTS THAT MAY BE OBTAINED BY USE OF THE ONLINE VALUATION SERVICES. QUIST INSIGHTS SHALL HAVE NO LIABILITY FOR ANY INACCESSIBILITY OF THE ONLINE VALUATION SERVICES, ANY VIRUS, TRAPS OR OTHER HARMFUL CODE DIRECTLY OR INDIRECTLY TRANSMITTED BY OR THROUGH THE ONLINE VALUATION SERVICES (EXCEPT WHERE THE SAME WAS INTENTIONALLY OR KNOWINGLY TRANSMITTED BY QUIST INSIGHTS WITHOUT CLIENT’S CONSENT), OR ANY DELAY OR FAILURE OF ANY TRANSMISSION, COMMUNICATION OR DATA SENT OR RECEIVED OR NOT SENT OR RECEIVED VIA THE ONLINE VALUATION SERVICES. CLIENT SHALL BEAR SOLE RESPONSIBILITY TO DETERMINE WHETHER CLIENT’S USE OF THE SOFTWARE MEETS THE REQUIREMENTS OF LAWS AND REGULATIONS APPLICABLE TO CLIENT. 8. Compliance with Laws. Client shall at all times comply with all applicable laws and regulations in Client’s access to and use of the Online Valuation Services. Without limiting the generality of the foregoing, Client will not export or re-export the Online Valuation Services without all required United States and foreign government licenses. All rights to use the Online Valuation Services are granted on condition that such rights are forfeited if Client fails to comply with the terms of this Agreement. Client will defend, indemnify and hold harmless Quist Insights and its directors, officers, employees and agents from and against any violation of such laws or regulations by Client or any of its Authorized Users. 9. Limitation of Liability. IN NO EVENT WILL QUIST INSIGHTS BE LIABLE TO THE CLIENT, WHETHER IN CONTRACT, TORT OR ANY OTHER LEGAL THEORY (INCLUDING, WITHOUT LIMITATION, STRICT LIABILITY AND NEGLIGENCE), FOR LOST PROFITS OR REVENUES, LOSS OF USE OR LOSS OF DATA, OR FOR ANY INDIRECT, SPECIAL, EXEMPLARY, PUNITIVE, MULTIPLE, INCIDENTAL, CONSEQUENTIAL OR SIMILAR DAMAGES, ARISING OUT OF OR IN CONNECTION WITH THE SERVICES OR THE RESULTS OF THE SERVICES, EVEN IF ADVISED OF THE POSSIBILITY OF SUCH DAMAGES. IF CLIENT IS DISSATISFIED WITH THE ONLINE VALUATION SERVICES, CLIENT’S SOLE AND EXCLUSIVE REMEDY HEREUNDER SHALL BE FOR CLIENT TO DISCONTINUE CLIENT’S USE OF THE SOFTWARE AND TERMINATE THIS AGREEMENT. NOTWITHSTANDING ANYTHING HEREIN TO THE CONTRARY, THE TOTAL CUMULATIVE LIABILITY OF QUIST INSIGHTS (INCLUDING ANY AFFILIATES OF QUIST INSIGHTS) IN CONNECTION WITH THIS AGREEMENT SHALL IN NO EVENT EXCEED THE AMOUNT OF ANY FEES ACTUALLY PAID BY CLIENT FOR USE OF THE ONLINE VALUATION SERVICES. CLIENT ACKNOWLEDGES THAT THE DISCLAIMERS AND LIMITATIONS HEREIN REFLECT A FAIR ALLOCATION OF RISK AND THAT QUIST INSIGHTS WOULD NOT ENTER INTO THIS AGREEMENT WITHOUT SUCH LIMITATIONS ON ITS LIABILITY, AND CLIENT AGREES THAT THE FOREGOING DISCLAIMERS AND LIMITATIONS SHALL APPLY NOTWITHSTANDING ANY FAILURE OF ESSENTIAL PURPOSE. BECAUSE SOME JURISDICTIONS DO NOT ALLOW THE EXCLUSION OR LIMITATION OF CERTAIN CATEGORIES OF DAMAGES, IN SUCH JURISDICTIONS, THE PARTIES AGREE THAT THE LIABILITY OF QUIST INSIGHTS (INCLUDING THE QUIST INSIGHTS LICENSORS) SHALL BE LIMITED TO THE FULLEST EXTENT PERMITTED BY SUCH JURISDICTION. 10. U.S. Government Restricted Rights Notice. The Online Valuation Services was developed at private expense and is a Commercial Item, as that term is defined in 48 CFR 2.101, consisting of Commercial Computer Online Valuation Services and Commercial Computer Online Valuation Services Documentation as such terms are used in 48 CFR 12.212 and 48 CFR 227.7202-1 through 227.7202-4, as applicable. The Online Valuation Services are licensed to U.S. Government end-users only as a Commercial Item and with only those rights granted to all other end-users pursuant to the terms and conditions herein. 11. Equitable Remedies. The parties acknowledge and agree that a breach or threatened breach of this Section 1.1 (License Grant), 1.2 (License Restrictions), or 4 (Ownership; Protection) would result in irreparable harm to the non-breaching party or its suppliers for which a remedy at law would be inadequate, and therefore, such party shall have the right to seek to obtain injunctive relief upon any violation or threatened violation of any term of any of the foregoing Sections without the necessity of posting bond or other security, in addition to all other rights and remedies available at law or in equity. 12. No Third Party Beneficiaries. No provisions of this Agreement, whether express or implied, are intended or will be construed to confer upon or give to any person or entity other than the specific parties hereto any rights, remedies or other benefits under or by reason of this Agreement. 13. Governing Law; Submission to Jurisdiction. This Agreement is governed by and construed in accordance with the internal laws of the State of Colorado without giving effect to any choice or conflict of law provision or rule that would require or permit the application of the laws of any jurisdiction other than those of the State of Colorado. Any legal suit, action, or proceeding arising out of or related to this Agreement or the licenses granted hereunder will be instituted exclusively in the federal courts of the United States or the courts of the State of Colorado, in each case located in the city of Denver and County of Denver, and each party irrevocably submits to the exclusive jurisdiction of such courts in any such suit, action or proceeding.